Today, when you order "Stars Of Magic #1 (Paul Harris)", you'll instantly be emailed a Penguin Magic gift certificate. You can spend it on anything you like at Penguin, just like cash. Just complete your order as normal, and within seconds you'll get an email with your gift certificate. 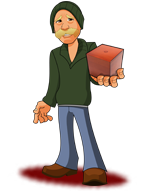 Paul Harris is regarded as one of the most creative forces in the history of magic. Innovative methods, entertaining plots and great audience appeal are hallmarks of Paul's effects. Yes you will wear this out like a great record. It really is great performances and fun. The tricks are incredibly well explained including how to perform any sleights needed for the tricks. You will learn a lot or at least improve "doing" this DVD. If you are in the camp of "I need an opener" or "today people have no attention span" - I can assure you Paul Harris was on this page 30 years ago. These tricks hit fast, fun, and jaw dropping all the Magic you could handle. 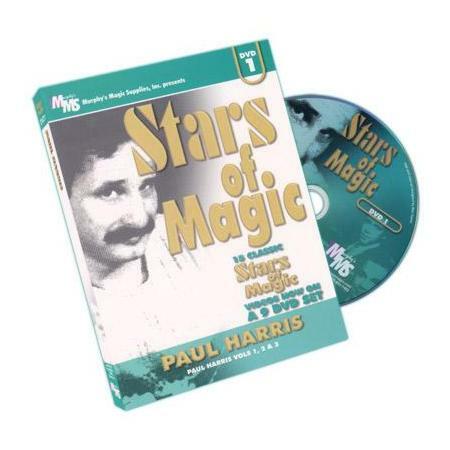 I think really this and his other Stars of Magic DVD / Paul Harris are Magic Jewels that you will be your treasure . This is a very fine collection of Paul Harris' work! Sure he's a little cheesy in his patter, but the effects are outstanding! Some of these have updated handlings in the Paul Harris boxset, but they are still worth knowing and performing. Who knows, you may prefer the original handling. I am going to get the Stars of Magic #2 for sure. This 1st dvd has an incredible variaty of profesional effects. The one major issue i have with the dvd is that paul harris's material has been taken, worked on, and improved so much that these original effects are not the as good as the impoved versions. Also because so many magicians have taken and improved upon Paul Harris's work that there is a lot of effects i already owned in improved verisons. But aside from my rant on how his material has been improved there are a LOT of effects that are on the dvd and for this is a steal for the good ideas and original material on the dvd. Immaculate Connection is worth the price of the dvd alone. The whole "volume 3" section on the dvd was amazing. I found that this dvd shows eve n in the vhs era Paul Harris began in he was so far ahead of his time with even effects that are on a TV and involve things usable in out digital age. A steal at 15 I would buy this for spectacular magic and original plots Paul Harris is the man!